William H. Brackney and Rupen Das. 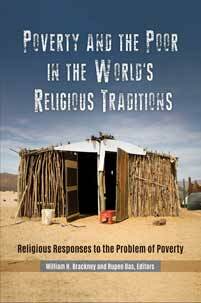 Poverty and the Poor in the World's Religious Traditions: Religious Responses to the Problem of Poverty. Praeger, 2018. ABC-CLIO, publisher.abc-clio.com/9781440844461. This detailed book is a resource for students, practitioners, and leaders interested in how the major world religions have understood poverty and responded to the poor.